Does your pet have allergies? Does he suffer from sneezing, itching and other allergy symptoms? 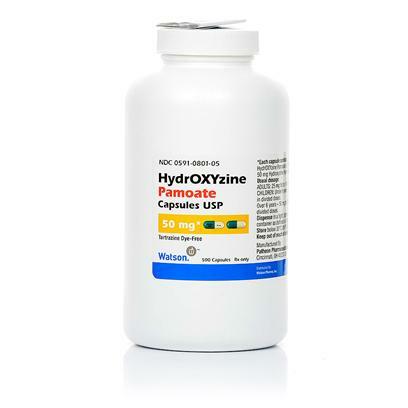 Hydroxyzine, an antihistamine for cats and dogs, effectively targets histamines, helping to suppress allergy symptoms. Help reduce your pet's allergy-related nausea and anxiety with Hydroxyzine. Prescribed by specialist to control itching on my dog.